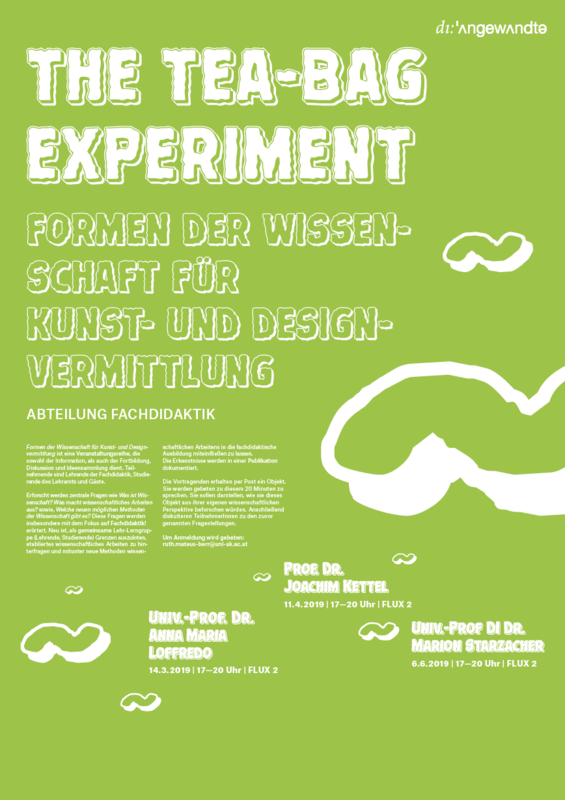 first time invitation to Vienna’s ‚die Angewandte‘ to participate in the The Tea-Bag Experiment. it’s on me to bring up a 20min-keynote about a special item my dear colleague Ruth Mateus-Berr sent me for preparation. i like to be challenged. so it’s gonna be exciting to present something tempting for you. meet me there on 2019/3/14!